In SSWUG.ORG’s virtual class, conducted by Microsoft SQL Server MVP Stephen Wynkoop, you will be able to receive the information need in the real world for working with SQL Server. For the non-formally trained “Accidental DBA”, Stephen will center on learning experiences, how-to information and specific demonstrations and labs that will let you explore the topics covered. By the end of the course, you will be ready to support and manage production databases when they are working well and when they are misbehaving. This is the perfect workshop for many types of IT professionals, including SharePoint administrators, departmental database managers or simply those who have been asked to watch over systems while performing other duties. Session 1: How to Use this Event – How to get the most out of this class. Session 2: Getting Started – In this session, Stephen will be covering installation options, setup and access, as well as security models and planning for disk space allocations and locations. He will also discuss aspects of Performance Monitor, including ways to set up checks and types of counters that can be helpful. Finally, he’ll be looking at the job subsystem and important things to be keeping track of there. Session 3: Backup and Recovery, Best Practices – Find out what to watch for on your system, in terms of backup and recovery options and configurations. Stephen will also look into best practices analyzer and Baseline Security Analyzer, explaining how these impact security, overall configuration best practices and access controls. He will also review firewall protections and tips on how to go about setting up systems to better manage your server(s). Session 4: Daily Work – There are certain daily tasks you’ll want to be doing to ensure the health of your systems. Stephen will explain details surrounding recovery models and the systems you’ll want to have in place to recover from a process standpoint (not just a SQL Server restore). He will also showcase the options you have with native and third-party tools. Session 5: Profiler, Engine Tuning – This section is all about specific tasks you can do to apply the previously covered content to your own systems. Stephen highlights both automated and manual checklists, explaining the aspects you’ll want to make sure are regularly standardized and monitored on your system. Session 6: Formalizing System Management – Find out how to create a maintenance plan and determine what maintenance should be done, in order to keep your database properly running. Session 7: Key Basics – In this session, you will look at the absolute basics of working with databases. This includes understanding the terminology, determining what normalization is and taking quick look at times when you may need to break free of normalization goals. Session 8: Core Statements – SELECT, INSERT, UPDATE, DELETE are the focus areas of this session. Learn about how they are used, what happens with different options and how you use these statements to work with information in your databases. Session 9: Using Like, Aggregation – Stephen will cover LIKE and aggregation options like SUM, AVG, MAX, MIN and talk about renaming columns in results set and more. He will also talk about JOINs and what they are, how they work. Session 10: Stored Procedures, Views – In this session, Stephen will be focusing on Views and Stored Procedures. He will show how you create them, modify them and use them. He will also go into automation options and different things you can do with the stored procedures and options. Finally, Stephen will take a quick look at naming conventions and other areas you’ll want to have on your radar in working with SQL Server. Session 11: Installation and Setup Elements – This section covers installation, setup and firewall issues, as well as covering data access considerations at a high-level. How will information be used, what options do you have for controlling access and data use? Session 12: Injection and Other Outside Threats – Learn about injection, specifically about protecting your information against it and other types of hacking attacks. Stephen will look at techniques for minimizing exposure. Session 13: Access Controls – User access controls, security, passwords and permissions are the focus of this segment. Stephen will look into roles, setting up security and the different layers of control available to you. Session 14: Tools and Leverage – A look at the tools you can use to analyze your systems for both security and best practice application. The course will wrap up with a blueprint for applying the information presented, from a broad basis to more specific applications. 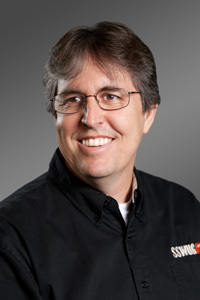 Stephen Wynkoop is the founder and editor for SSWUG.ORG – the SQL Server Worldwide User’s Group where he writes a daily column and maintains the site overall. SSWUG features a weekly video program about the database and IT world, webcasts, articles, quarterly online virtual community events and vConferences several times a year. Stephen is a Microsoft SQL Server MVP and the author of more than 10 books, translated into at least 7 languages. Stephen has been working with SQL Server since the very first version, with a prior experience in database platforms that included dBase and Btrieve.